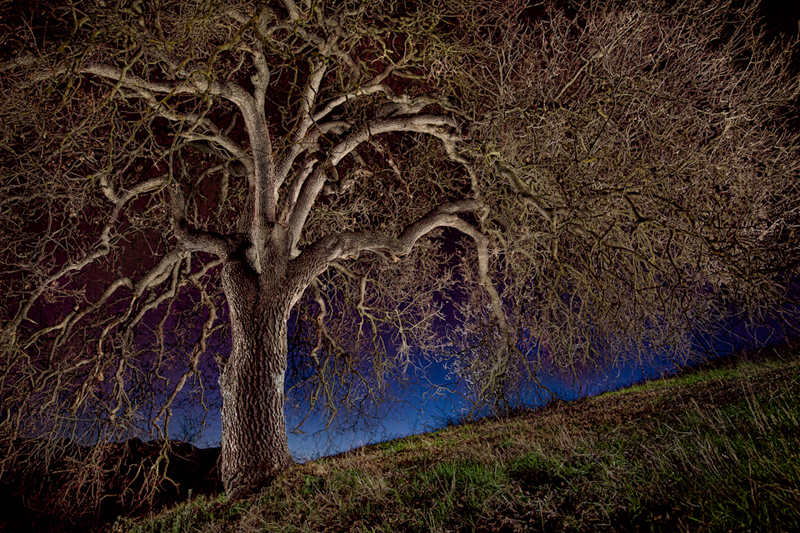 I have begun work on a new portfolio — that of photographing trees with my light painting techniques. Below is one. More can be seen in my gallery Trees at Night. will have to take back my negative comment on the one you showed at the meeting. However, I don’t think it was as good as most of these are.